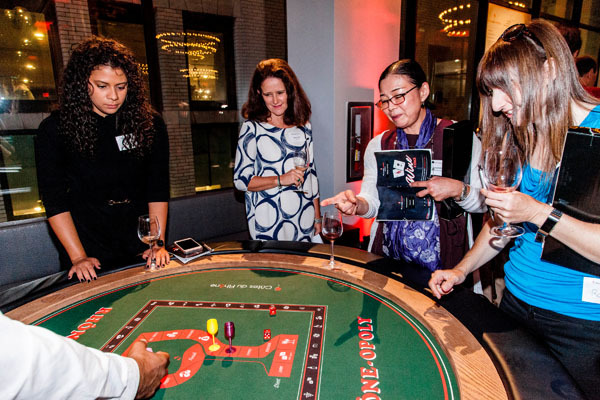 On September 21st, Inter-Rhône, the trade organization for Rhône Valley Vineyards, held their annual tasting in New York City with 137 attendees. 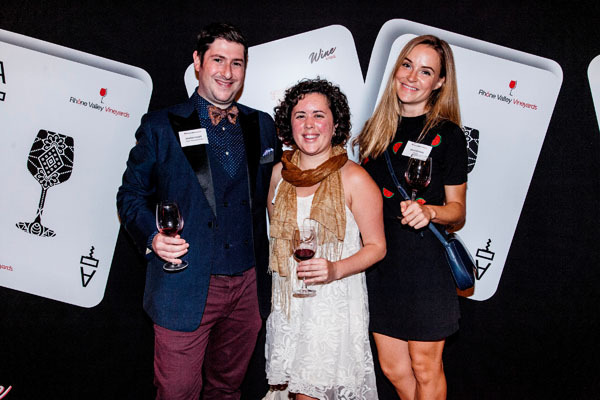 The inventive event, titled Wine O’Clock, aimed to promote the image and increase awareness of Rhône wines collectively. 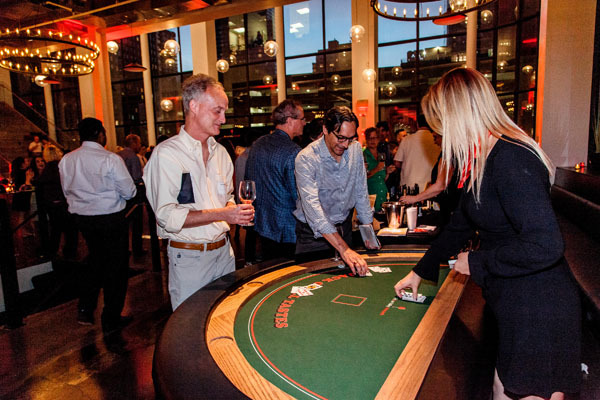 With a casino theme, the evening created an “edu-tainement” experience as a way to learn, taste and enjoy Rhône wines. There were 23 wines served from 15 appellations. Rhône wines are mostly red (81%), with some rosés (13%) and whites (6 %). 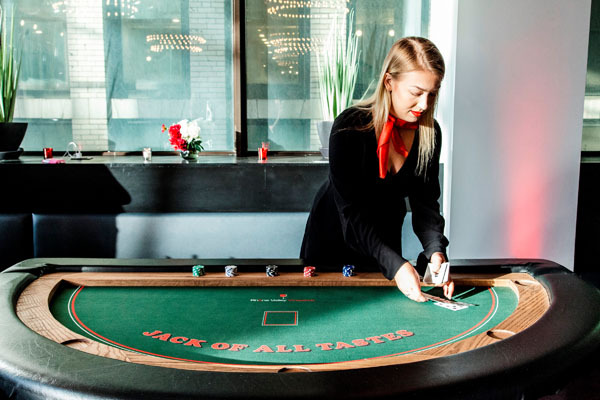 Hosted by Sommelier, Jonathan Cristaldi, guests tasted their way through the reds, whites and rosés of the region to the backdrop of customized casino games.